”The gender cake was awesome, which you already knew! I loved my gender reveal cake, the whole day was perfect. Everyone there was amazed at this idea and just thought it was so cool how we found out the gender of our baby. I have attached a few pictures before and after, but my girlfriend Emma is a photographer. She actually did professional pictures for us and will be editing and uploading them for us hopefully on Monday. These pictures would probably be awesome for you to use on your website. I can't wait to see them myself! I will be sending you those when I get them so you can use them. 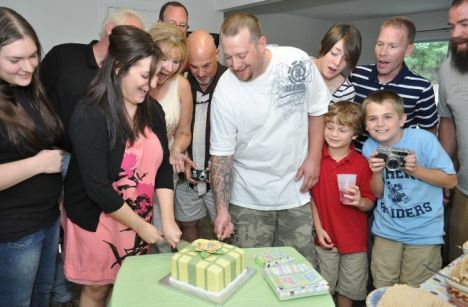 They include our reactions to the gender reveal and are just really cool! 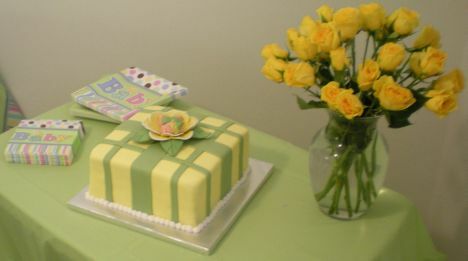 This gender reveal cake is a very unique baby shower cake order I received from Stephanie and Stephen R. of Raleigh, NC who was expecting their first child. Stephanie e-mailed me asking if I would be willing to do a surprise baby gender reveal cake. What that means was when her and Stephen went in for their ultrasound to find out the gender of the baby the technician would call me with the results and Stephanie and Stephen would not know. 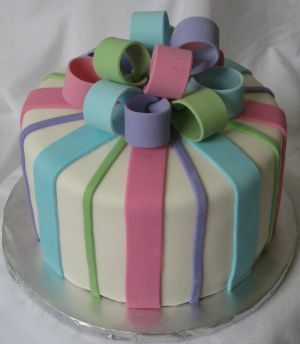 I then took a French vanilla cake and added the color of the gender, pink for girl or blue for boy. Well I did, and then I decorated it in pretty baby neutral colors and delivered the gender reveal cake to their house the next day. They were ready at the gender reveal party, anxiously waiting with the video camera up to record this intimate moment in their life. When the two of them cut into the cake they were surprised to find that it was a………GIRL! Congrats to Stephanie and Stephen and I hope to see her for her first birthday. 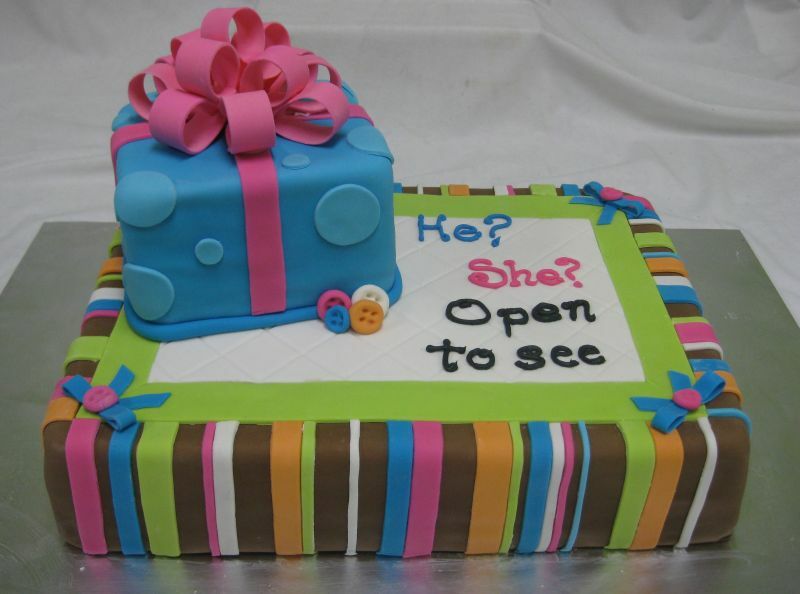 Baby gender cake designs are usually neutral in colors so as not to give away the surprise! What a fun way to share the news. See more pictures and ideas for baby shower cakes here! 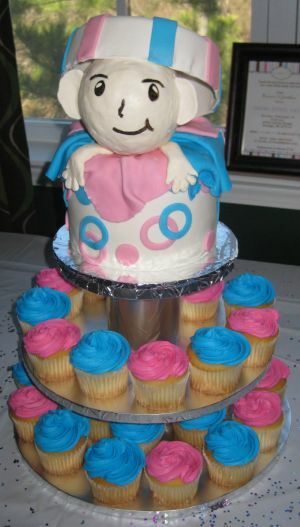 ”Stephanie, the baby gender cake was a big HIT! My sister-in-law said she always wondered if the "pretty" cakes would taste as good as they look, and boy were we pleasantly surprised! 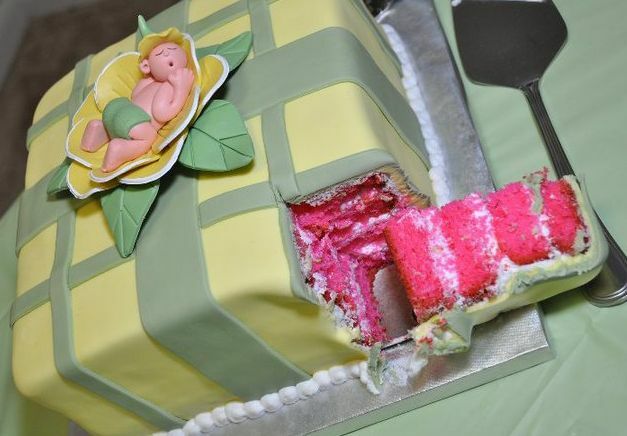 This unique baby shower cake was delicious and a fabulous way to break the news of our pregnancy! Thank you so much and we certainly will keep you in mind for future engagements! My husband said it was the best cake he's ever tasted! Thanks again!” Lacy C. – Raleigh, NC. 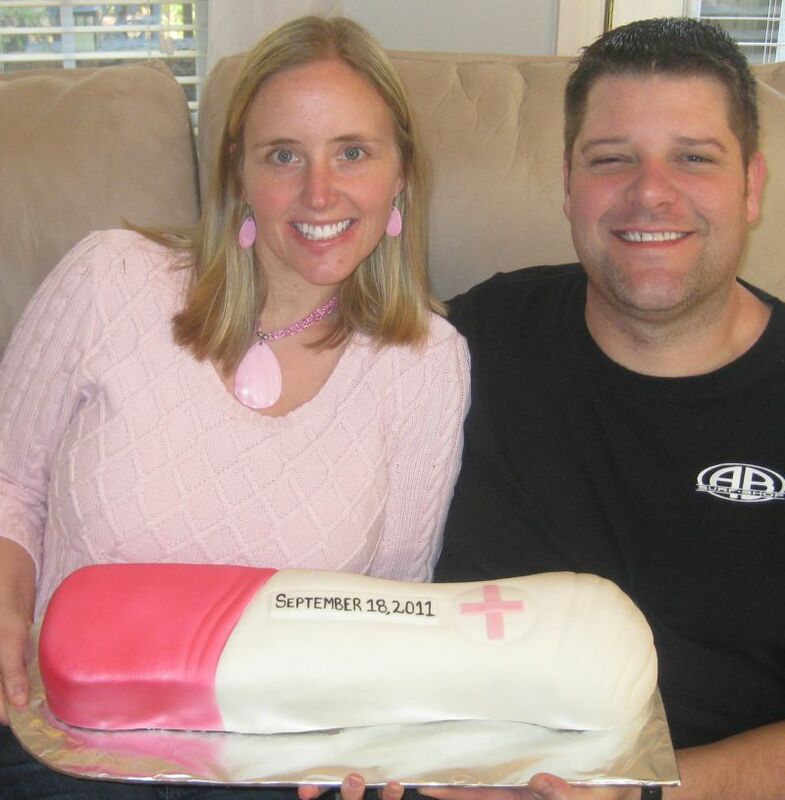 Gender reveal cakes are becoming a very popular way to announce the baby's gender. 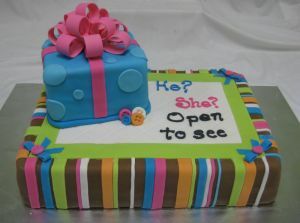 Design to match your invite and bring some excitement to your baby shower with a gender reveal party cake! The same can be done with gender reveal cupcakes too! Use the same neutral colors and everyone gets one. When they take a bite...everyone finds out the baby gender. See more pictures and ideas for baby shower cupcakes here! Comment about our baby gender cake here!